For the first article in this series on iOS development, we’re going to talk about how you get set up for development. Thankfully, Apple has made things very easy on new developers. 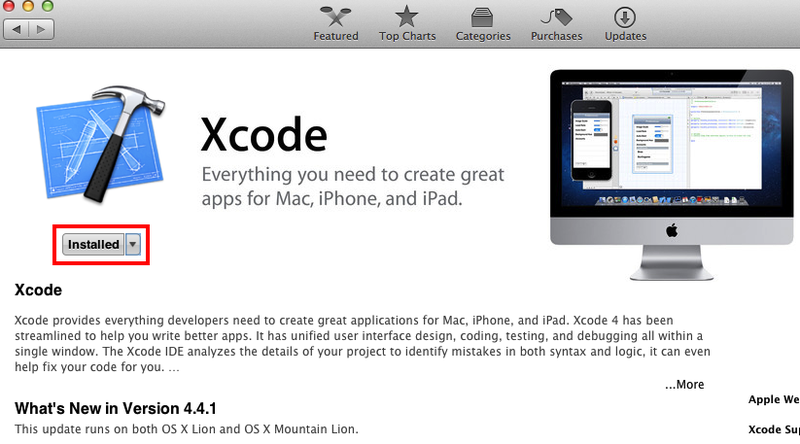 The only thing you really HAVE to do, is install Apple’s integrated development environment (IDE): XCode. Xcode is free for installation to anyone with OSX Lion or Mountain Lion (as of writing) and can be installed from the Mac App Store. If you haven’t picked up on things yet, you need to be running OSX in order to do any native iOS development. If you have an older Mac sitting around, it may be powerful enough to use Xcode (provided you’re not taxing the computer in too many other ways). Let’s get back to talking about Xcode. After that, follow the wizard and after a while, you’ll have Xcode installed. The only other factor you have to consider when you’re thinking about getting set up for development, is what kind of developer program account you want to have. iOS Developer Program for Individuals - $99 a year for one individual developer license. This let’s you put apps into the iOS App Store. In addition, you can install apps to any device that has it’s Device ID registered in your developer portal. You can access this program here. iOS Developer Program for Companies - $99 a year for a company with multiple developers. This let’s you put apps in the App Store and on devices just like the above individual program. The catch here is that your company needs to have a DUNS number. This is a way for Apple to make sure you’re really a company and not just some guy that’s going to sell developer access to other developers. One important thing to note is that when you have this program, all your apps are distributed under one entity in the app store. So if you make a fart app and a serious business app, they’ll be tied together in the App Store. You can access this program here. iOS Developer Enterprise Program - $299 a year for a company with multiple developers. This program also requires the DUNS number mentioned above. This program is different from the ones above in that you don’t have the ability to distribute via the App Store. Instead, this program allows you to distribute apps to employees. Enrollment in this program opens up some options you don’t have with the above two (i.e. the device limits, testing installations, etc). You can access this program here. iOS Developer University Program - This program is the only free one and is only available to qualifying higher education institutions. Chances are good if you’re reading this, you don’t qualify. However, if you work for a degree granting higher education institution, you can read more about the program here. Mac Developer Program - If you’re interested in distributing OSX apps in the Mac App Store, there is a individual and a company program for that as well. You can access this program here. When you enroll in one of these programs, you’ll tie your Apple ID to it. You will then be able to add development devices, generate a provisioning profile, create certificates, prepare apps for distribution, and finally move them into the App Store. Getting set up for iOS (and OSX) development is very easy. There is only one program to install (Xcode) and it comes with all the software you need out of the box. Joining a developer program is also relatively simple (and required if you want to put things on the App Store). In the proceeding articles in the series we’ll start diving into Xcode and making apps. This is the best course I have seen! Thank you for the knowledge I have now from the course! I want to write a book as a gift for labor and due time, if you allow me to use some of the information in the course?